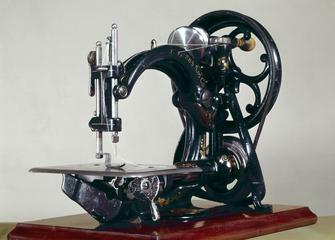 Howe lock-stitch sewing machine, c 1888. 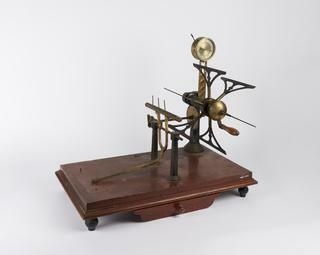 Model of Grimston's twine-balling machine, patented in 1860. Model illustrating the drawing and doubling process, glazed passepartout. 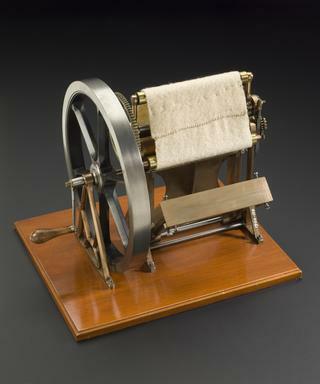 Model of a power loom of c. 1860, with belt-driven shuttle, scale 1:6, with a half size model of its special shuttle patented by S. C. Salisbury in 1860. 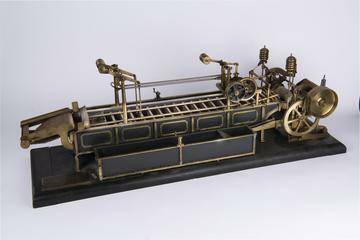 Model of a power loom of c. 1860, with belt-driven shuttle, scale 1:6, patented by S. C. Salisbury in 1860. 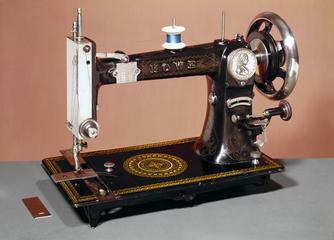 Jute spinning unit: two rollers, spindle and flyer mounted on a board, part of a throstle frame. 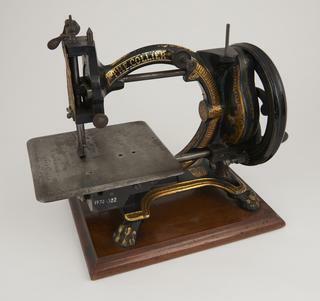 Brass model of cross-cutting machine invented by C.F. Davis in 1827, based on a patent of 1820. 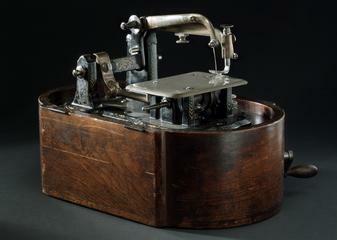 Half size model of the special shuttle, patented by S.C. Salisbury in 1860; that is used on the belt driven loom. 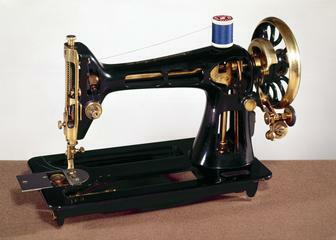 Coloured drawing depicting French hand-powered silk throwing mill, made at the Science Museum, London, England. 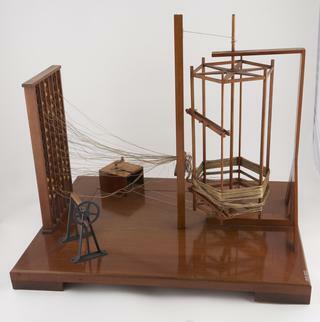 Model (scale 1:4) of wool drying machine by John & William McNaught, Rochdale, Manchester, England, the original having been made around 1914.